"My late grandfather (Epifanio Fello, a USAFFE soldier/WW II veteran) once told me the story of the invasion of the Japanese forces here in Maragondon. Sometimes in 1939,1940, the Japanese came to Maragondon, Ternate and Naic as "tourists". These "tourists" were intels of the Japanese Imperial Armed Forces on that time. They were top-notch surveyors and engineers who made their special surveys of the mountains of Maragondon and Ternate through photographs. They calculated on how bombs/missiles will reach their destination: the Corregidor Island. How fascinating... I can't believe my granpa told me this story... But it is true that the last defense of the combined Filipino and American Armed Forces were in Corregidor Island, which later on they surrendered to the Japanese." 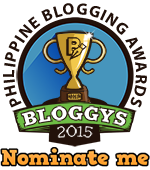 Maragondon had its part during the Second World War. The Japanese forces in 1942, built a garrison in the area so the people were in a night mare and in cohorts of fear. 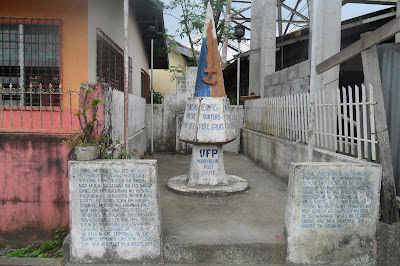 But for the safeguard and to depend the inhabitants from the maltreatment of the Japanese, the “Gerilla Talinos” unit was organized on June 13, 1942 by Capitan Catalino del Rosario and through the support of Mariano Villanueva, Patrocinio Gulapa, Col. Francisco Punzalan, Vicente Somoza, Alfredo Velando and others. The Guerilla Liberato’s unit was also organized. With the emergence of many Guerillas unit in Maragondon, the Japanese made a sudden attack in the area. All men were arrested and put to jail at Maragondon Elementary School for seven days. On February 3, 1945, Capitan Catalino Del Rosario and his men ambushed the Japanese who were having a patrol. So then, that was the signal of the massive fighting of the Gerillas and the Japanese forces. In a month of struggle, at long last, Maragondon and the people gloriously surpassed the war because the Japanese forces were taken out of the place and also because of the brave tactics of the Guerillas and the all-out support of the American soldiers. 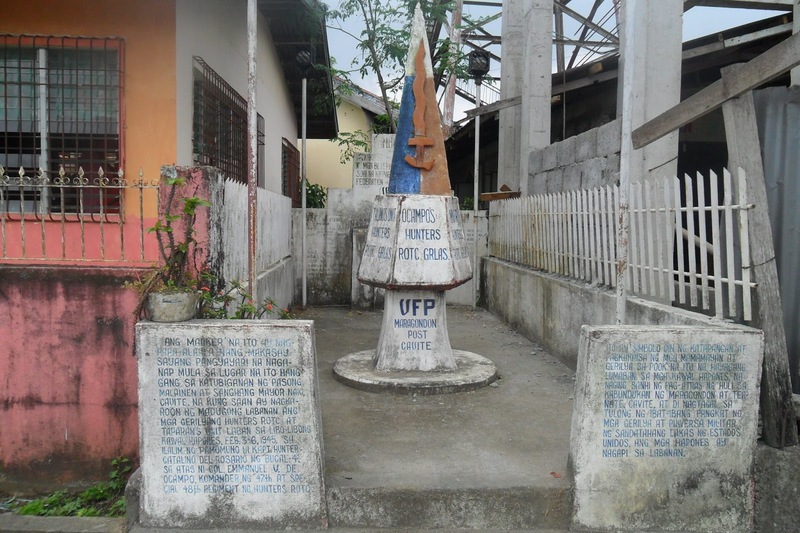 During World War II, Maragondon youths were among those called to the colors. They fought in Bataan and Corregidor among other places. The survivors, upon return, helped organize and joined an underground force, Maragondon own liberators, the Guerillas, continue their resistance against the Japanese invaders. The unit joined the returning American forces in liberating Cavite, Quezon, and Batangas provinces. A significant event during World War II against the Japanese invaders was the annihilation of one group of enemy soldiers at Barrio Bucal 4 up to the ricefields of Malainen Luma, Naic which led to the sona. Those guerrilla soldiers were the Guerilla Hunters ROTC unit and Taparan’s Unit who fought the thousands of Japanese forces on February 3-6, 1945. This ambush was led by Captain Hunter Catalino del Rosario of Bucal 4 under the leadership of Col. Emmanuel V. de Ocampo, Commander of the 47th and 48th Regiment of Hunters ROTC squad.